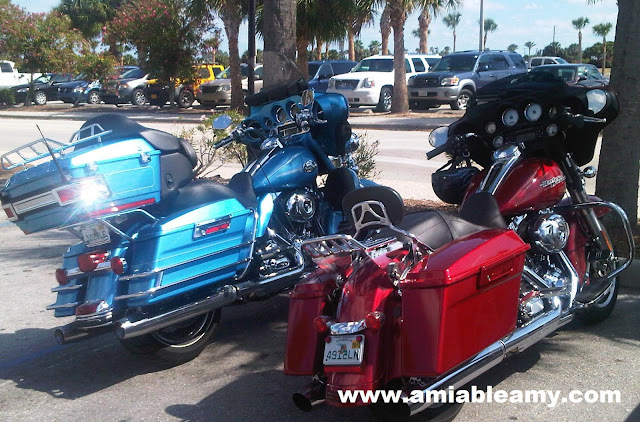 Hubby and I saw these two awesome motorcycles at the parking lot while we were at Port Canaveral dining at Rusty's Seafood, Oyster Bar and Grill. Looks like brand new and I bet these are expensive babies. This is a Harley Davidson make. I was browsing the price in the site and the 2013 Street Bob starts at $12,999. Wheeew! Imagine how much these are because the owner customized the look already. The more gadgets added, its even more expensive. Do you like it? Which color?